We didn't get to say. I know you'll miss me too. And took me by the hand. All those I dearly love. I didn't want to die. So much left yet to do. That I was leaving you. And all the fun we had. And maybe see you smile. Would take the place of me. My heart was filled with sorrow. I felt so much at home. From His great golden throne. But here life starts anew. There's no longing for the past. So trusting and so true. You knew you shouldn't do. And now at last you're free. And share my life with me? Don't think we're far apart. I'm right here.... In your heart. the loss of our friend. and we wonder why Dale's life had to end. he's truly one of a kind. but he'll always be in our heart and on our mind. and his success will live on. for he as a legend will stand alone. us is such a nightmare. 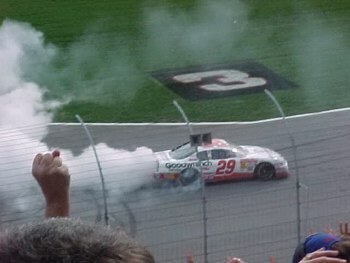 when Dale Earnhardt wasn't there. I found this poem posted on an Earnhardt board and felt like it was too good not to post. If it is yours, or you know who it is, please let me know so I can give the poet credit for it! Thanks! Watching Michael & Dale Jr. as they circled the track. So proud of his "boys" now winning the race. No time for pain; No time for fear. 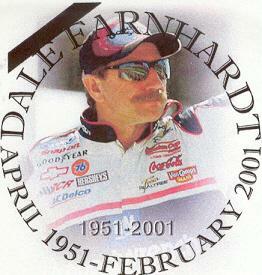 Dale was one-quarter mile from his Final Finish Line. An eternal change in their world of racing. With a grand career, now sadly cut short. But a miracle was happening we could not see. 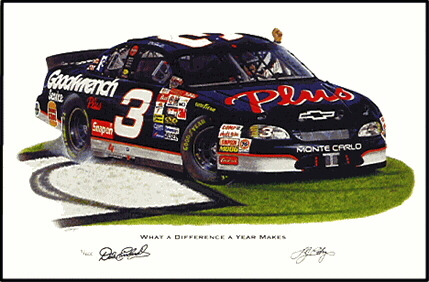 As God gave "Number 3" the checkered flag "Home". We'll picture him circling Heaven with Black and Silver Wings. 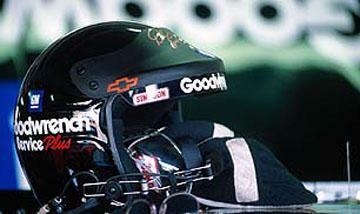 "Look out over there.....Here comes The Intimidator".